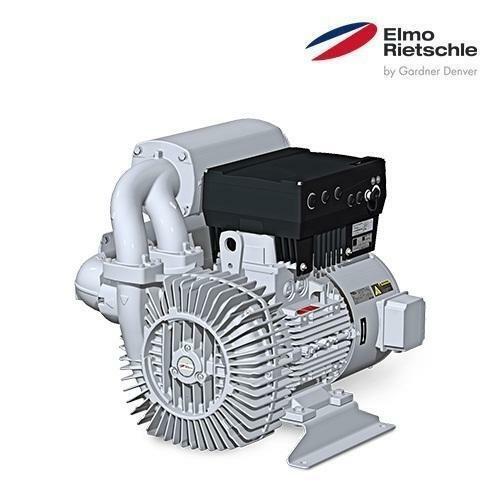 Compact design: The G-BH is about half as large (installed volume) and nearly 60% lighter than a comparable standard machine with the same performance characteristics. Flexible: These units are normally operated with frequency converters. The housing components can be rotated in 45° increments without manifolds and silencers or in 90° increments with manifolds and silencers. Together, both of these features offer maximum flexibility upon integration in the overall system. Regarding IE3: 200 Hz motors which are used in this side channel blower do not fall under IE regulations. Established for over 150 years, Gardner Denver is one of the world's leading manufacturers of compressed air and Gas, Vacuum and Fluid Transfer Technologies. The Gardner Denver and compare brands are both well established across the globe. Having earned a reputation for providing solutions, delivering exceptional value, reliability and performance to all levels of industry. The broader Gardner Denver product family extends our capabilities even further. Providing an unrivaled range and variety of industry leading products, each with their own established reputation for value reliability and performance. Leading the way with global expertise, fast, responsive locally based service and an unrivaled range and variety of industry leading products. With Gardner Denver your business will achieve even greater success through a dedicated partnership with the industry leader in compressed air technology.